Which Miles Or Points Should You Use When Making An Award Booking? 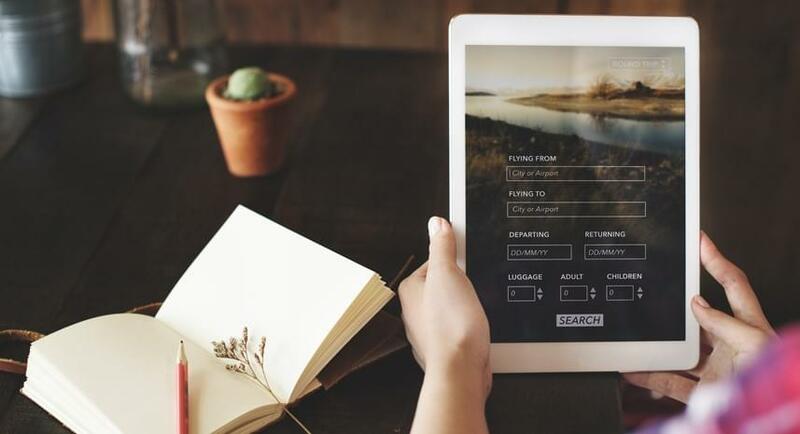 Travel hackers have more choices than ever when it comes to which points or miles currency to use when making an award booking. In many cases, the most obvious choice isn’t always the most economical. For example, if you wanted to book a flight within the U.S., you first choice may be to use the miles of a domestic airline. However, it may be possible to pay a lower number of miles by booking that same flight via the award chart of an international partner. In all cases, you will want to compare the value of mileage redemption to the redemption rates available for fixed value currencies. Mileage award – these are redemptions of miles for award tickets where the issuing airline is also the operating airline (i.e. the airline you will be flying on). Partner award – these awards are where you redeem miles with one airline in order to fly on another airline. In a majority of cases, these the two airlines will be partners via both belonging to the same alliance (Skyteam, oneworld, or Star Alliance). Paid booking using fixed value points – these programs offer redemptions at a predetermined value and don’t require award tickets to be available since they are equivalent to making a paid booking. Flexible value currencies – these are essentially the same as fixed value currencies but the redemption value can vary within limits. 1. Determine which carriers fly the route you want to book and if you have miles in their respective frequent flyer programs (or if you have transferable point which could be transferred to the program). Search for award availability on the available carriers and if there is space available, determine the cost. 2. Repeat step one for any airlines which are partners of the airlines that fly the route. Partner award availability is often not the same as award availability for booking directly on the operating carrier, so you will want to research the specific airlines you are considering. 3. Calculate the redemption value in terms of cents per mile by dividing the cash price of the ticket by the number of miles required for an award. 4. Compare the resulting redemption value to the values available on fixed-value currencies, which in most cases are about 2 cents per point. A mileage booking is simply using the miles of any airline to book an award on that airline, such as Skymiles on Delta or United miles on United. The value that you can receive for these bookings varies considerably. For example, with a few exceptions, the cost of a saver level award on the two of the three legacy carriers (United and American) costs 25K miles. It doesn’t matter what the cash price of the ticket is, the price in miles is fixed. Therefore, the value of your miles could vary from say, 0.8 cents per mile if it was a short flight selling for $200, or 3 cents per mile if it was a transcon $750 flight. The values can vary even more when you consider international premium cabin tickets. Business and first class tickets on long haul routes typically cost between $5,000 and $10,000. For example, a round-trip business class ticket on United to South Asia costs 140,000 miles. 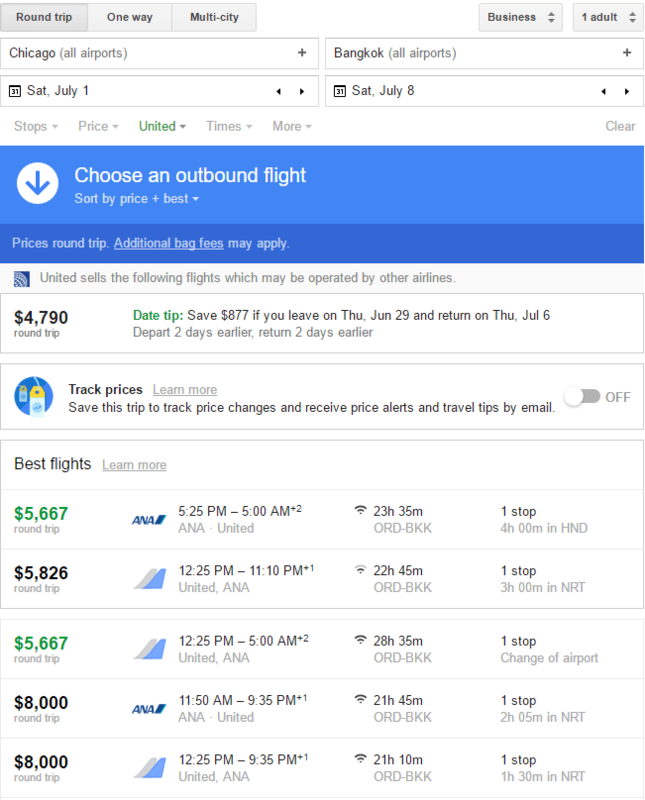 In the screenshot below, you can see that United business class flights from Chicago to Bangkok for an early July booking cost between $5,826 and $8,000. Therefore, the redemption value of miles for this flight would range from 4.2 to 5.7 cents per mile. These are excellent redemption values and there is no chance that any fixed value currency will provide better value. Partner award bookings are where you redeem miles with one airline in order to fly on another airline. This type of redemption can offer extremely good value in certain circumstances. Partner award redemptions often allow you to save tens of thousands of miles relative to booking an award directly with the operating airline. One of the best examples of this is using Alaska Airlines miles to book flights on Cathay Pacific. 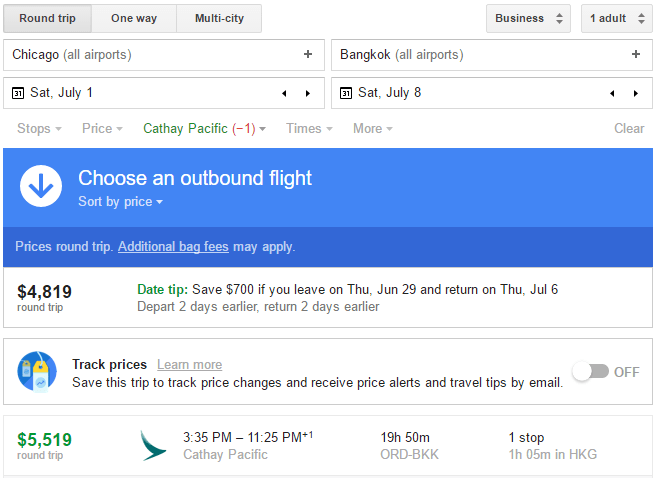 Using the same dates and cities as the previous example, a business class flight on Cathay Pacific costs $5,519. However, using Alaska miles to book a partner award is only 100K miles round trip, resulting in a redemption value of 5.5 cents per point. This is a fantastic value, especially considering you get to fly on one of the best airlines in the world, which is far from the case in the above example with United. There are many cases in which partner award redemptions offer outsized value. For example, Korean Airlines considers the entire U.S. to be one single region. Therefore, flying 100 miles or 3,000 miles all cost the same price. One of the most popular ways to utilize this quirk is to book flights from the mainland U.S. to Hawaii via Korean flying on Skyteam partner Delta. Flights within the U.S. cost 25K miles. The same flight booking directly via Delta would cost at least 50K miles, and quite possibly more given Delta’s variable pricing regime. The cash price for flights to Hawaii from the mainland typically ranges from $800 to $1,000 in economy, so the redemption value ranges from 3.2 to 4 cents per mile, which is truly excellent for an economy class booking. Fixed value programs are generally very simple in that you essentially just book the ticket like you would if you were paying out of pocket. This offers much more flexibility than award tickets since you don’t have to worry about availability. US Bank Flexperks which vary in value between 1.5 and 2 cents per dollar, but the cards also offer potentially lucrative bonus categories which make the overall return higher.